/ Wireless Radar Detectors! How They Work? Wireless Radar Detectors! How They Work? Imagine you buy a radar detector, get into your car and stick the detector onto the windshield to discover that the cigarette lighter cleverly located at the back of the console requires a detector cord three feet longer than what you have. In this case three things can be done; re-engineering the entire electric system of the car (overboard), Fabricate a longer power cord for the radar detector (mild, but why bother) or get a wireless radar detector(best approach to solving problem). Improvements in the manufacturing technology of Radar detectors have seen newer versions smaller, more digital and cordless. It is important to be cordless, mobility is enhanced and this safeguards against laws which prohibit objects on the windshield. A radar detector in general is an uncomplicated device used by motorist to detect police radar. Radar fundamentally works by bouncing a radio signal off of an object, thus any receiver tuned to the same frequency can detect the signal and often at a greater range than the radar unit itself can detect the reflected signals. There are many different detectors on the market, with varying sensitivity and different options, but they are all fundamentally radio receivers. So in actual sense it is a radio tuned to the same frequencies as police radar. 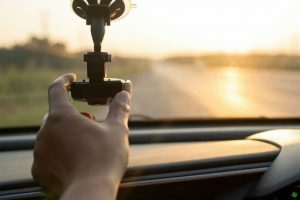 All over the US corded detectors are the most common and their fundamental feature of being mounted on a windshield by using suction cups makes them the most regulated form of radar detector. Wireless detectors are more of the new generation kind of detectors. It can be placed anywhere in the car meaning a cleaner form of installation. Most wireless radar detectors come with new cutting edge technology that brings them to this new digital age of ours. This means there is a higher probability of wide-brand frequency detection. This is the essence of the detector; if for a moment the radar detector is unable to detect the frequencies used by the police then it is no better than a useless radio device. Modern features would mean a detector equipped with GPS systems. This is very useful in that it increases the consciousness of the detector; if we are concerned about the police and safety then a detector with a GPS system incorporated is very important. It allows the detector know and be able to alert on how fast the vehicle is travelling when any radar activity is detected. 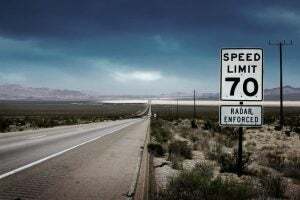 Except for Virginia and Washington D.C, the use of radar detectors is legal all over the US and this is so because they are not regulated, there isn’t one legislative document out rightly making it illegal. However California, Florida, Minnesota, New Jersey and Pennsylvania prohibit the mounting of objects on the windshield. This makes it illegal to use radar detectors that require mounting onto the windshield in these mentioned states. It should be noted that this applies to passenger vehicles. As concerns commercial vehicles weighing over 10, 000 Ibs there is a federal law prohibiting their use without exception. It is very important to have this in mind before going out to buy a radar detector, so you can know what kind to buy or if you aren’t to buy it at all. To completely understand how wireless radar detectors work it is absolutely important to know how police radar works. This will help in understanding the features that are a must have by the detector you so desire. The day-to-day police radar is the radar gun, which is a hand held device used by pointing at a vehicle and pulling the trigger, the speed of the vehicle is immediately displayed on the screen of the radar gun and we know the rest if we are in violation. In comparison to modern wireless radar detectors, most modern police radar guns use what is called the k-band, which was introduced in the late ‘70s. These guns have a range of about a quarter mile and can be detected anywhere within two miles depending on the conditions. The ka-band was introduced later, toward the end of the ‘80s, and uses an even shorter wavelength. This is the same band used by photo-radar machines and is also where most recent radar development has been focused, including the development of the so-called "stalker" guns which can only be detected by sweeping the entire ka-band, not just the portion used by photo-radar. Police radar originally used the x-band, which is a much lower frequency, but it has been largely phased out. 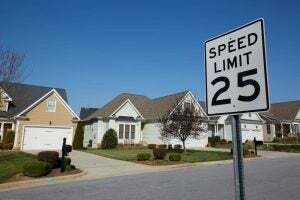 The new radar detectors might be a little bit pricier than the most we are used to and it might not be invisible from radar detector detectors. This might bring unwanted Police attention and might in a larger sense prove a certain intention to speed. 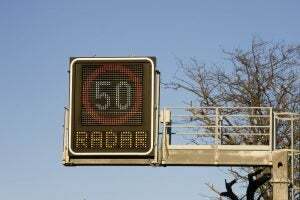 Because it is not placed on the windshield this reduces the height advantage and reduces the accuracy in detecting the police radar due to the obstruction from the vehicle’s metal. Thought modern wireless radar detectors might be more expensive to use. The flexibility in its usage and its improvement in wide-brand frequency detection is essential to all radar detectors and this is what it brings to the table as a fact.